How was Jesus the most holy person while at the same time the least judgmental? And why don't His followers live like He lived? Let's be honest, Christians are losing the culture war. The western Church is in stark decline and our kids no longer find the message of judgement tenable in the real world. Jesus came to influence and draw-not condemn and repel. 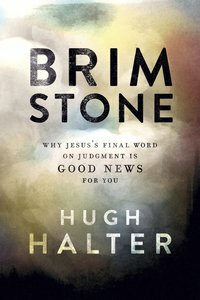 In Brimstone, Hugh Halter helps us navigate the overuse of poor judgment and the underuse of right judgment. This book will help you navigate the great law of love given by Jesus. Inside you'll find a disruptive invitation to be holy as Jesus was holy and engage the sinful world with a smile instead of pointing a finger in their face. Hugh Halter is the national director of Missio, serving as a mentor to a global network of missional leaders and church planters. He is lead architect of Adullam, a congregational network of missional communities in Denver, Colorado (www.adullamdenver.com), and is the coauthor of The Tangible Kingdom with Matt Smay.